Seat’s performance offshoot Cupra has launched a new Special Edition version of the Ateca SUV at the 2019 Geneva Motor Show. 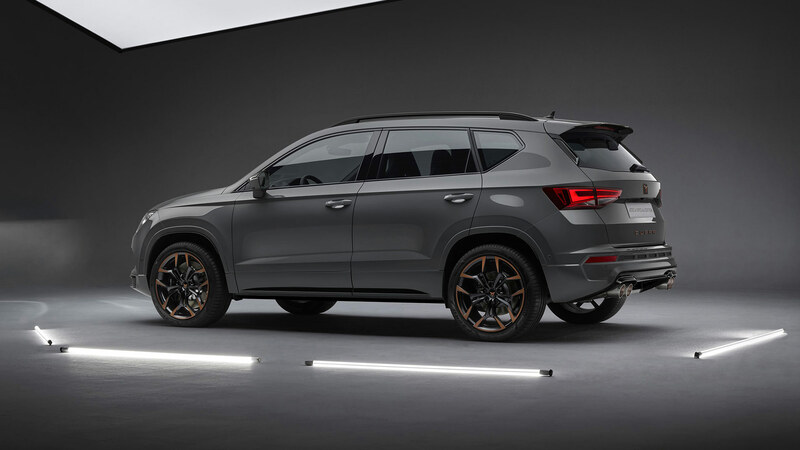 Cupra actually waited until day two of the event to release all the details, possibly fearing that the tweaked Ateca would become lost in a sea of other new announcements. Given all the cars that filled our extensive Geneva day one coverage, it was perhaps a wise choice. Cupra’s Special Edition creation is definitely ‘on trend’ with current interior design directions. This Ateca features special Graphene Grey paintwork, along with Cupra’s trademark copper detailing. If you need a performance SUV to match your brand-new fitted kitchen, this is the one to go for. Copper carbon fibre is an intriguing trim idea, blending shiny metal highlights through the weave of the lightweight material. 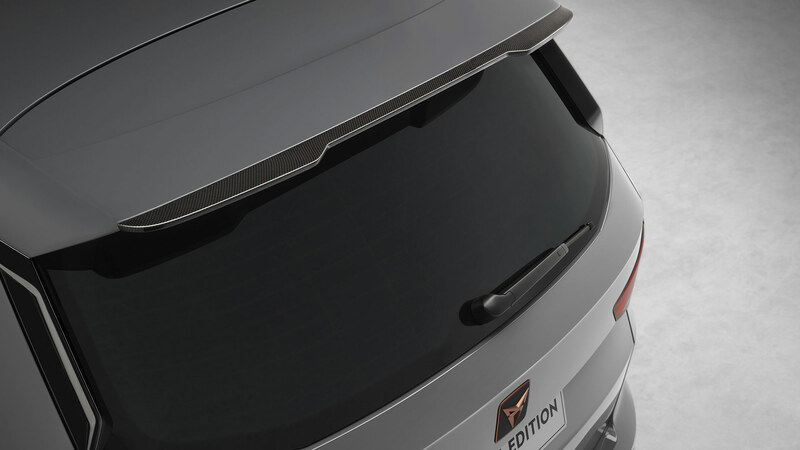 Cupra has used it to cover the door mirrors, along with the new rear spoiler which is said to offer increased downforce. 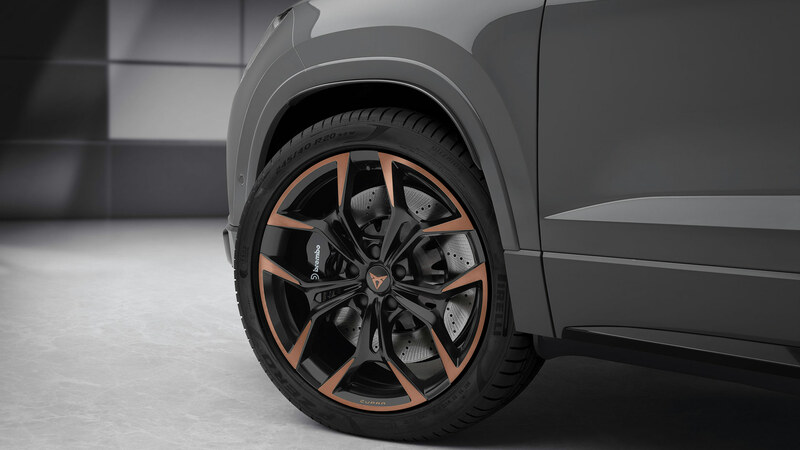 The copper-finish 20-inch alloy wheels are new, and widen the track of the Cupra Ateca. Behind them lurk standard Brembo brakes for increased stopping power, although the Special Edition has the same 300hp as the regular version. That 2.0-litre TSI engine does at least exhale through a new Akrapovic exhaust system. Not only does this weigh 7kg less than the standard item, Cupra promises that it will offer a ‘unique sound experience’ as well. Inside, the Ateca Special Edition gains more of that copper carbon fibre trim, being liberally applied to interior mouldings and the centre console. 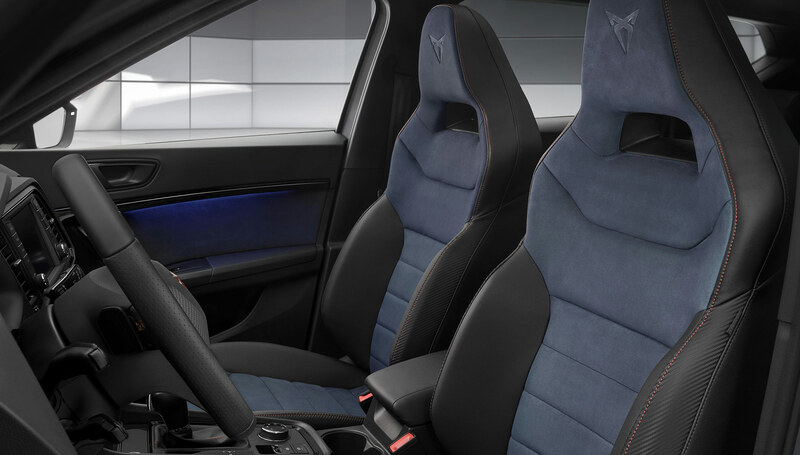 Also new are sports seats finished in Petrol Blue Alcantara – a look which seems to pay homage to the insides of a Subaru Impreza STI from the early 2000s. Pricing is yet to be announced for the Cupra Ateca Special Edition, but sales are slated to begin later in 2019. There is also no word on how many units will be available, but Cupra promises numbers will be limited. With Volkswagen having unveiled a 300hp T-Roc R in Geneva, the Cupra Ateca is soon to have some in-house competition. It might take more than copper trinkets to see off that threat.